Former light heavyweight contender Yvon Durelle, 77, who retired from boxing in 1963 with a 90-24-2, 51 KOs record, suffered a stroke earlier this week and is listed in serious condition at a hospital in Moncton, Canada, where he was transferred on Christmas Day. Born Oct. 14, 1929, Durelle was one of 14 children who grew up in Baie-Ste-Anne, a small Acadian fishing village in New Brunswick, which earned him the nom de guerre the Fighting Fisherman. Durelle turned pro in 1948 and proved he was a man who could box as well as punch, but he was a very hard man, an almost impossible man, to knock out. Durelle won the Canadian middleweight championship in 1953. In 1954 he had his first fight outside Canada, traveling all the way to Brooklyn, New York to fight an up-and-coming young panther named Floyd Patterson. Durelle lost that bout by decision, but he opened a lot of eyes and was suddenly ranked in the top-ten. Durelle won the British Empire light heavyweight championship in 1957 and defended three times, setting up the bout for which he is best known, the Dec. 10, 1958 challenge at the Forum in Montreal, Quebec, for Archie Moore‘s light heavyweight title. A 4-1 underdog going into the fight with the wily Old Mongoose, Durelle dropped the champ three times in the first round, shocking not just Archie, not just the world, but all of Canada. 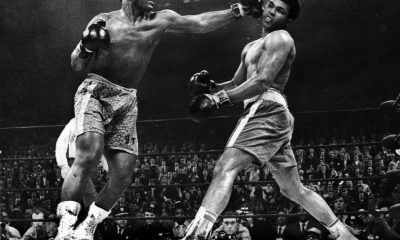 After the fight, Moore described the first knockdown: The first thing I remember was I heard the number five and I saw [referee] Jack Sharkey‘s big mouth as he leaned over me, counting. I knew I had to get to my feet. I felt as if the top of my head was blown off. I walked the street of dreams.? Moore not only walked the street of dreams, he fought the street of dreams, and with his tight defense and wizened ring generalship, Arch, although he was dropped again in the fifth, snuck his way back into the fight, battled his way back into the fight, to eventually wear down and KO the Fighting Fisherman in round 11. In 1959 Durelle lost to Moore in a rematch via the KO route in the third. Also that year, Durelle lost a 12-rounder to Canadian heavyweight champion George Chuvalo, before finally winding it down and calling it quits after 117 fights. We’re pulling for you champ. If anyone is tough enough to beat the odds it’s you. Samuel Peter claims he has dynamites in my two hands? Heavyweight contenders Samuel “The Nigerian Nightmare” Peter and James Lights Out? Toney get it on a second time this Saturday from the Seminole Hard Rock in Hollywood, Fla. (Showtime). The hard-slugging Peter, unlike Toney, is one of those strong, silent types notorious for letting their fists to the talking one the opening bell sounds, but the Nigeria Nightmare is as confident as ever and determined to turn Lights Out’s lights out for good. I have got dynamites in my two hands,? said Peter, according the Lagos, Nigeria Vanguard, and I will crush James Toney once and for all. The Toney camp made the mistake of their lives by protesting and seeking a rematch. I am ready to teach him a bitter lesson.? 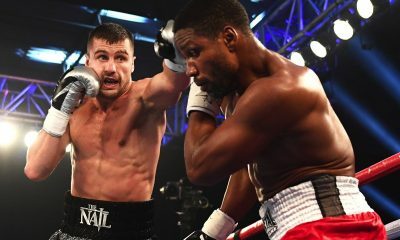 Sam Peter walked away with the W for Peter/Toney I at the Staples Center in LA last September, but it was by disputed split decision a verdict so disputed, there was even a dispute about the dispute which forced the WBC’s hand into mandating Saturday’s rematch. Samuel Peter is the biggest thing to hit African boxing since Ghanaian superstar Azumah Nelson rocked the feather and junior welterweight divisions. The President of the Nigeria Boxing Board of Control, Prince Olaide Adeboye, admitted, according to allAfrica.com, We are rooting for Samuel Peter, of course. He is one boy we believe in to bring back the country’s lost glory in professional boxing. 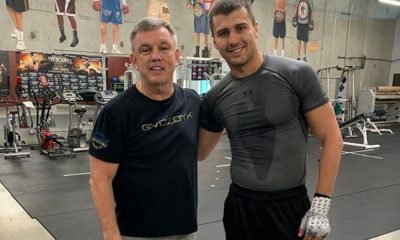 I am personally making arrangement to be at the ringside to see him fight Toney again. I was at the first fight in Los Angeles in September. Peter has the brutal punch, and to me he was the clear winner of the first fight. But the WBC Board of Governors, of which I am a member, voted 21-10 for a rematch. There was nothing those of us Africans on the board could do in the circumstances. But I believe Peter will confirm he is better than Toney and will then go ahead to meet the champion and claim the belt for Nigeria and Africa.? There are claims that boxing is dying. Hogwash. 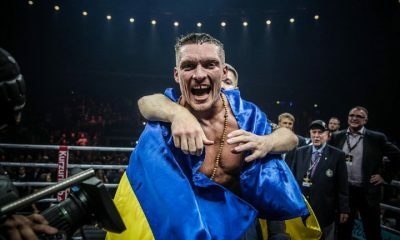 The heavyweight division isn’t the only division in boxing and 2007 promises to be a banner year in boxing; especially for boxers hailing from Asia. While Asia isn’t Vegas or Atlantic City, it is a region packed of diamonds in the rough; undiscovered gems and potential superstars who wait for their moment in the sun. 1) Manny Pacquiao – There’s no way to dispute Pacquiao is the best fighter in Asia, if not all of boxing. He’s exciting, he wins with Je Ne Sais Quois and is definitely “the man” in boxing. 2) Pongsaklek Wonjongkam – Although his competition leaves much to be desired, his longevity and skills are undeniable. He is currently Thailand’s only world champion and is undefeated in ten years. Need I say more? 3) Chris John – A victory over Juan Manuel Marquez, however controversial, shows he belongs at the top of the heap. He easily outpointed Renan Acosta to close out 2006 and should have no trouble defending against Jose Rojas in February. A fight with Pacquiao would not be a good move on his part but a rematch with Marquez would not hurt – especially if he defeats the Mexican again. 4) Hozumi Hasegawa – Hidden away in Japan, Hasegawa is a sharp punching southpaw who put former champion Veeraphol Sahaprom to sleep. 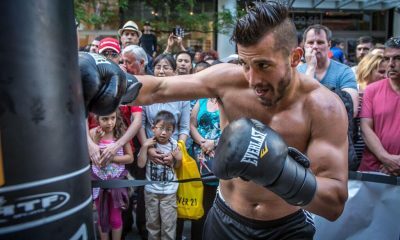 He recently bested Genaro Garcia and his herky-jerky style will give fits to any one who steps in the ring with him. 5) Masomori Tokuyama – Tokuyama has never shied away from a good fight and although he only fought once in 2006 (UD12 Jose Navarro), he ledger shows wins over Katsushige Kawashima (twice), Gerry Penalosa (twice) and In Jin Chi (twice). A fight with Hozumi Hasegawa is a distinct possibility in 2007. 6) Nobuo Nashiro – With only seven fights under his belt he took on WBA champion Martin Castillo – and defeated him. Although he’s only fought a total of nine fights, nearly all have been against quality opposition. A victory in a rematch with Castillo would cement his claim as the king of the 115-pound division. 7) Yukata Niida – This light-hitting minimumweight defended his title twice in 2006, winning a technical decision against unbeaten Eriberto Gejon (Tech Win 10) and the other on points over Ronald Barrera (W 12). Scheduled to meet Katsunari Takayama early next year – the best has yet to come for this WBA belt holder. 8) In Jin Chi – Won back the title he lost to Takashi Koshimoto in January from Rudolfo Lopez. While there’s little uncertainty to his skills, at thirty-three, 2007 may provide some insight as to just how much he has left. 9) Yodsanan Sor Nanthachai –Sor Nonthachai is an exciting, top-shelf fighter with an iron chin. Has no trouble making mincemeat of mid-level opposition and deserves a title shot in 2007. Time is running out. 10) Rey Bautista – He’s young, relatively inexperienced in big-time boxing, but will continue to shine in 2007. One of the better prospects in boxing, he should snag a title in 2007. There’s no shortage of boxers in Thailand. With a huge pool of Muay Thai fighters to draw from and several talented amateur boxing prospects turning pro after the 2008 Beijing Olympics, Thailand seems destined to remain a boxing powerhouse in Asia. The country is known for having tough, determined and disciplined fighters who give their all whenever the step in to the ring. However, consistently losing while fighting abroad and padding their records with no-hopers has done nothing to enhance their reputation. Whether because of a lack of marketability, a lack of funds or their unwillingness to travel abroad, the vast majority of boxers from Thailand remain a mystery to fans in the west. If anything though, the boxing scene involving Thai fighters will be active. In fact, it’s one of the most active in the world; since 2000, the number of fights has nearly doubled in the country. 2) Yodsanan Sor Nanthachai (Super Lightweight) – He’s a seasoned fighter who has proven himself in the big-time. He’s one Thai who can fight outside of Asia. He has an abundance of skills and one-punch power. His overall ability and ease in dispatching anyone other than championship caliber get him the runners-up spot. 3) Poonsawat Kratingdaenggym (Super Bantamweight) – After losing to Vladimir Sidorenko he’s bounced back. He’s young, he can punch, but the former interim champion needs to prove himself against a name fighter. 4) Somsak Sithchatchawal (Super Bantamweight) – Was his win over Monshipour a fluke or was Celestino Caballero just that good? Did Sithchatchawal catch Monshipour at the right time and can he rebound from the devastating loss? The jury is still out. 5) Wandee Singwancha (Flyweight) – He doesn’t have much of a punch which will be his downfall in the end. He can box, as was evidenced in his recent victory over Juanito Rubillar, but this won’t be enough. 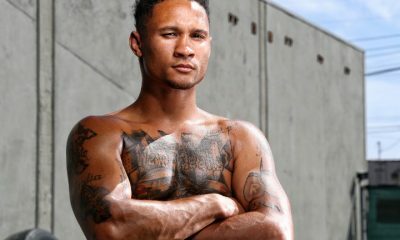 He can no longer make the Jr. Flyweight limit and with no punch he’ll have a hard time competing against the “big boys.” Although he’s now rated second by the WBC, he doesn’t deserve to be. 5) Sirimongkol Singwancha (Super Lightweight) – Get this guy a fight. He’s better than Jose Armando Santa Cruz and would have beat up Inada had the fight taken place. He’ll fight anyone but his biggest obstacle is staying motivated fighting tomato cans in Thailand. Like many Thais, he needs a fight against a name opponent. 6) Wandee Singwancha (Flyweight) – He doesn’t have much of a punch which will be his downfall in the end. He can box, as was evidenced in his recent victory over Juanito Rubillar, but this won’t be enough. He can no longer make the Jr. Flyweight limit and with no punch he’ll have a hard time competing against the “big boys.” Although he’s now rated second by the WBC, he doesn’t deserve to be. 7) Pramuansak Phosuwan (Super Flyweight) – A genuine tough guy. Always calm and focused no matter how heated the battle. But at thirty-eight, he’ll be in trouble should he fight one of the division’s elite. 8) Veeraphol Sahaprom (Bantamweight) – Will be lucky to get another crack at the title. Although he has a puncher’s chance of winning a belt, that’s about all he has left at this point. A third shot at Hasegawa is unlikely. 9) Oleydong Sithamerchai (Minimumweight) – He’s fought better than the usual opponents faced by Thais at his level and he moves up one spot with the departure of Terdsak Jandaeng. He lacks the punch and is in the wrong division to become a superstar. He’ll need to defeat a name opponent to convince me. 10) Saenghiran Lookbanyai / Napapol Kittisakchokchai (Super Bantamweight) – These two square-off in early March, supposedly to see who deserves a shot at Israel Vasquez. Kittisakchokchai has the edge in experience but some feel Lookbanyai has the edge in heart and is the favorite. Neither has defeated a top twenty fighter and yet are ranked number one and two respectively in the WBC’s world. In Kittisakchokchoi’s lone shot at the big-time, he was TKO’d in 10 by Oscar Larios. His dreadful performance against Larios and lack of quality opposition leads me to believe Saenghiran might have more of a shot at beating him than some suspect. Regardless, neither of them lasts longer than six rounds with Israel Vasquez. LAS VEGAS—UFC light heavyweight champion Chuck “Iceman” Liddell’s fists proved too much for Huntington Beach’s Tito Ortiz who was stopped in the third round before a sold out crowd at the MGM Garden Arena on Saturday. The punching machine Liddell (20-3, 13 KOs) repeated his victory in UFC 66 over the much-improved grappler Ortiz who has improved his punching and blocking. Ortiz was trying to avenge his loss of April 2004. Despite all the new weapons displayed by Ortiz it wasn’t enough as Liddell pummeled the former champion and retained his title with a technical knockout at 3:59 of the third round. Referee Mario Yamasaki stopped the bout. 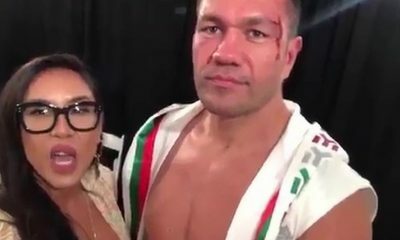 Ortiz (15-5, 8 KOs), a former wrestler, worked on his boxing technique knowing he would need it against the former boxer Liddell. But Liddell’s experience allowed him to find the right moment to pounce on Ortiz. “I had him hurt, I just kept throwing punches,” said Liddell who also knocked down Ortiz in the first round with a left hook. Ortiz was gracious in defeat. Underdog Keith Jardine (12-3-1) knocked out Forrest Griffin (13-4) at 4:41 of the first round in their light heavyweight showdown. A right uppercut followed by a left hook wobbled Griffin who was sent to the floor by a barrage of punches. On the ground Jardine landed right after right until referee John McCarthy stopped the fight for a technical knockout. Canada’s Jason McDonald (18-7) choked out Chris Leben (15-3) in a middleweight bout that was up for grabs. Though Leben seemed to control the fight with stunning left hands, once the fight went to the ground McDonald managed a chokehold at 4:03 of the second round. Referee Steve Mazagatti saw Leben was unconscious and stopped the fight. Former UFC heavyweight champion Andrei Arlovski (12-5) caught Brazil’s Mario Cruz (2-2) with a sneak right hand while both were tangled on the ground. Then the Belarusian pummeled Cruz until referee Herb Dean stopped the fight at 3:15 of the first round. Third season winner of the Ultimate Fighter television reality season Michael Bisping (12-0) of Great Britain won by technical knockout over Eric Shafer (9-2-2) at 4:29 of the first round. A knee knocked Shafer groggy then Bisping knocked him to the ground and pounded him. Referee Mario Yamasaki stopped the bludgeoning. Thiago Alves (16-4) caught Peru’s Tony De Souza (15-5) with a knee as he attempted to dive for his legs in a welterweight contest. After that it was pretty much over as Alves pummeled De Souza at 1:10 of the second round forcing referee John McCarthy to halt the bout. 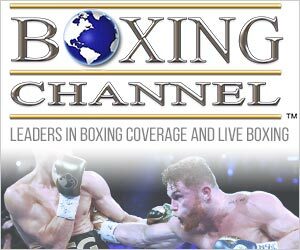 Gabriel Gonzago (7-1) proved too strong for Carmelo Marrero (6-1) in a heavyweight bout. At 3:22 of the first round Gonzago of Massachusetts manipulated his way into arm bar forcing Pennsylvania’s Marrero to tap out. Japan’s Yushin Okami (19-3) pounded Georgia’s Rory Singer (11-6) into submission at 4:03 of the third round of a middleweight bout. Okami seemed the more-rounded fighter with effective kicks to the head and more accurate punching. 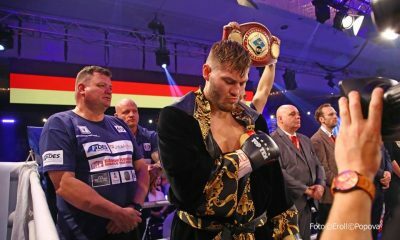 Christian Wellisch (8-2) jumped to a quick start with an accurate left hook that rattled Australia’s Anthony Perosh (5-3) in a heavyweight bout. During the first round it seemed the Sacramento fighter might end the fight but the Aussie hung tough. Wellisch won by unanimous decision.